Can China and the EU Cooperate on International Security? There is ample room for Brussels to deepen the conversation with Beijing on security goals of mutual interest. EU foreign policy chief, Federica Mogherini, was in China last week discussing possible joint actions in international security. Past cooperation in piracy operations off the Somalian coast and in various international peace initiatives provides a solid basis, as does cooperation in combating climate change. There has even been a reasonable degree of contact on countering terrorism and cyber crime. The day after Mogherini left China, the country’s National People’s Congress released the second draft of a new law that is China’s first attempt to provide a legal basis for an overall approach to internal security. The law, which upholds the ruling position of the Communist Party as well as laying out division of administrative responsibilities in maintaining that political and social order, should give the EU some pause for thought on just how far any joint actions might go. The authoritarian elements of the draft law are a useful reminder of why the EU maintains an arms sales ban on China first imposed in 1989 in response to the Tian An Men Square repressions. The bill, called the National Security Law (Draft), is the latest effort by China to normalize its legal and constitutional order in this field. It replaces a law of the same name which late last year was given a new name, the Counter-Espionage law (which was the main subject it addressed, along with subversion and treason). Many countries do not have a comprehensive law addressing all facets of national security as this new draft attempts to do. It owes its existence to the unique political history of China. For most of the time between 1949 and 1979, the pre-eminence of Communist Party institutions was taken for granted and the Party operated without feeling the need to make laws that would constrain it. Beginning in the 1980s, the country found itself legislating to help restore stability and encourage foreign investment. More recent circumstances have also played an important role in shaping the new law, such as widespread corruption in the security services, a spate of unprecedented terrorist attacks, and a new campaign by President Xi Jinping for rule of law launched as recently in 2013. The chauvinistic ambition in the first article is somewhat alarming: “to realize the great revival of the Chinese nation”. 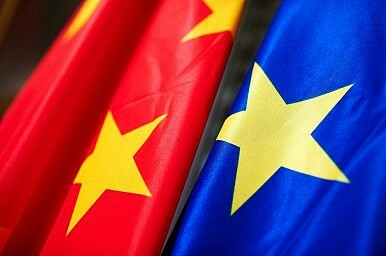 There are however new nuances in the language of the draft bill that give some greater foundation for a positive response by the EU to China’s interest in greater security cooperation. Article 2 elevates the people’s welfare to an unusually prominent position: “National security is the relative absence of international or domestic threats to the state’s power to govern, sovereignty, unity and territorial integrity, the welfare of the people, sustainable economic and social development…”. China needs the EU more than vice versa to help deliver domestic economic welfare. There is ample room for Brussels to deepen the conversation with Beijing on security goals of mutual interest at the same time as exploit China’s clear ambivalence between classic authoritarianism and more enlightened governance. This article has originally been published in New Europe.